It should come as no surprise that credit cards are one of the most popular ways to pay for everything from groceries to vacations. In fact, there are approximately 249.5 million American adults with at least one credit card in their wallet! And every credit card is different. Some offer cash back while others offer discounts and rewards points. But for people looking to travel, a travel credit card is an absolute must! A good card can save you hundreds on travel expenses each year! But how do you go about finding the right card? Read on for a few simple tips to help you find the right card to take the stress out of traveling. Within the world of travel credit cards, there are two main categories: co-branded and not. The right choice for you depends on whether you’re loyal to particular brands or want the best price on travel purchases. Co-branded cards are sponsored by individual brands. These can be hotel chains, airlines, and even major banks with travel divisions. Branded cards give you a higher rewards rate at properties owned by those brands. Others offer rewards on every dollar you spend anywhere. If you have a preferred hotel chain or always fly on a certain airline, co-branded cards are a great choice. Non-branded cards are ones issued and sponsored by the credit card company itself. They still offer travel benefits but you earn those benefits at a lower rate than with branded cards. That said, you can use the rewards from non-branded cards at any qualifying hotel, airline, or other travel-related services. 2. What Rewards Do You Want? Different cards offer different types of rewards and the issuing company will let you know what each option is when you apply. Think about the types of rewards you want to earn. Are you looking for free or discounted lodging? Do you prefer free airfare? Use this information to apply for cards that meet your needs. It seems like every credit card offers reward points at different rates. But the bare minimum across the industry seems to be one point per dollar spent. If you put a lot of your purchases on the card, those points will build relatively quickly. But if you like to use cash, it can take forever to reach the payout threshold on the card. When comparing cards, pay close attention to the rewards timeline and the number of points you earn on each purchase. Ideally, choose a card that offers more than one point per dollar spent. And look for cards that offer extra points for spending in categories you use frequently. This will help you maximize your rewards potential. Remember, the last thing you want to do is pick a card that won’t earn rewards quickly. 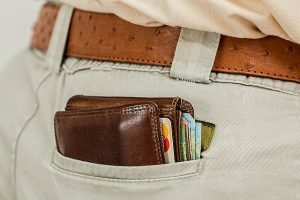 If you can’t use your rewards, you’re better off sticking with a normal bank-issued credit card. Some rewards programs are flexible and allow you to use your rewards dollars on almost any qualified travel expense. But others place restrictions on how you can redeem those points. If a card places a limit on the dollar amount you can use in rewards points, make sure you’re comfortable with it. If the restriction refers to the brands you can redeem points through, consider whether you’re comfortable with those brands. Remember, co-branded cards often have more restrictions. If you need flexibility in how you can apply the rewards, look for a non-branded card. Similarly, if the credit card does not outline the restrictions clearly, don’t apply for it. Always make sure you have a clear understanding of the restrictions on rewards usage before applying for the card. The best travel credit cards offer sign-up bonuses on top of the regular rewards. These can range from cash up front, credit at a partner brand, or even an increase in reward point earnings for a given period of time. The point of the bonus is to make the card look more attractive than others on the market. Keep in mind that the bonus will be short-lived. This means bonus rewards should not be a major deciding factor in whether you sign up for the card or not. Instead, your decision should be based on the ongoing rewards and how much you earn for every dollar spent. But if several similar cards all look good to you, a sign-up bonus can help you make the choice. Many credit card issuers enforce spending minimums before you can earn those bonus reward points. When you’re shopping for a card, make a note of the spending minimums for each one. Ideally, the minimum should be low enough that you won’t have trouble hitting the bonus threshold. If the minimum is too high, you’ll still earn regular reward points, but you won’t be eligible for the sign-on bonus. Standard credit cards that provide no rewards often won’t charge an annual fee for the privilege of having the card itself. But the ones that offer travel rewards might. These fees range from as low as $25 per year to more than $1000 a year. And the higher fee cards often have benefits well beyond the standard travel rewards. You’ll likely earn more points for every dollar spent. But those points should add up to more than the cost of the annual fee. No card should cost you more than you get out of it in rewards. If it does, keep looking. Travel means spending tons of money on different services ranging from airfare to rental cars. And many cards offer additional perks beyond the rewards you earn for every dollar you spend. Research the perks each card offers. For example, some cards give you access to luxury lounges at airports. Others automatically upgrade your airfare to give you priority boarding on each flight. Consider your travel habits and decide which perks will be most useful to you. 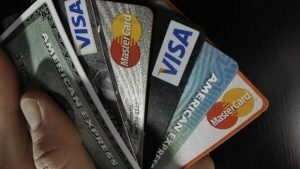 As with every credit card, you’ll need to pay attention to your credit score. The higher your score, the better interest rate you’ll qualify for. But with travel cards, the score is even more important. Some cards have a minimum credit score requirement before they’ll even consider your application. If your score is too low, you won’t be able to get the card. As a general rule, most credit card companies want people to have scores of 650 and above. If your score is too low, you can start improving it. Pay off existing debt as much as possible. Pay your bills on time every month. And keep your credit card balances as low as possible. Over time, your score will increase and you’ll qualify for a better travel credit card. 9. Where Do You Travel? Before you apply for a card, take a look at your travel habits. Do you tend to travel domestically or are you applying for the card to help with an upcoming international trip? This can influence the cards you apply for. Not all cards work internationally. Others work but also have high international transaction fees. Look at the details for each card. If the international fees are too high, look for a different card. If you plan on traveling domestically, look for cards that offer rewards with national chains. You can always apply for a travel card to cover lodging and transportation expenses and bring your normal card overseas to cover incidental expenses. Once you find a few cards you’re interested in, start comparing your options. Look at each card’s interest rates, rewards rate, and additional perks. Then consider the fees for each card and whether you’ll get more from the benefits than the cost of the card itself. Remember, it’s always best to pay off the balance on your travel credit cards each month. But if you do need to carry a balance after paying for that dream trip, choose a card with the lowest interest rate. But the process doesn’t have to be hard. 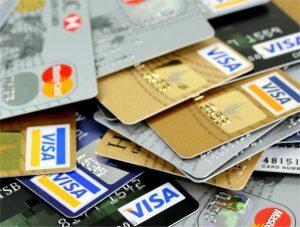 Visit this website for a detailed comparison of popular credit cards. Credit cards don’t always accept you instantly. You need to apply for them in advance of your trip. For best results, start looking when at least six months before your trip and start applying no later than four months before you leave. If you wait until the last minute, you’ll be forced to rely on other credit cards and your savings to cover your expenses. Remember, the point of the best travel credit cards is to reward you for using them. 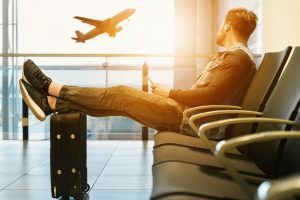 If you can use them for your upcoming trip, the more rewards you’ll earn and the sooner you’ll start seeing the benefit of having a card in the first place. Finding the best travel credit card for your needs is largely a matter of personal opinion. As long as you use these tips and research your options, you’ll be able to find the right card to help make travel as easy as possible. But a travel credit card doesn’t mean you won’t want to save up for your trip. Read up on how to save money and start planning that dream vacation without going into debt!